Destination Weddings are adventurous and can easily be transformed into the ultimate “wedding-cation” not only for the bride and groom, but also for their guests and family members. One key way to guarantee this, is by planning a variety of pre and post ceremony events that will leave your guests departing with experiences and memories they will hold dear for years to come! Here are a few tips on how to entertain your destination wedding guests before and after the “I Do’s”, from luxury Hawaii wedding planner, Lorrie Betsill Nielson. The rehearsal dinner is traditionally held the night before the wedding day and is considered the “party before the party”. However, rather than a formal dinner, turn this special time into a fabulous welcome party, which allows all guests to come together from the moment they arrive in Hawaii! 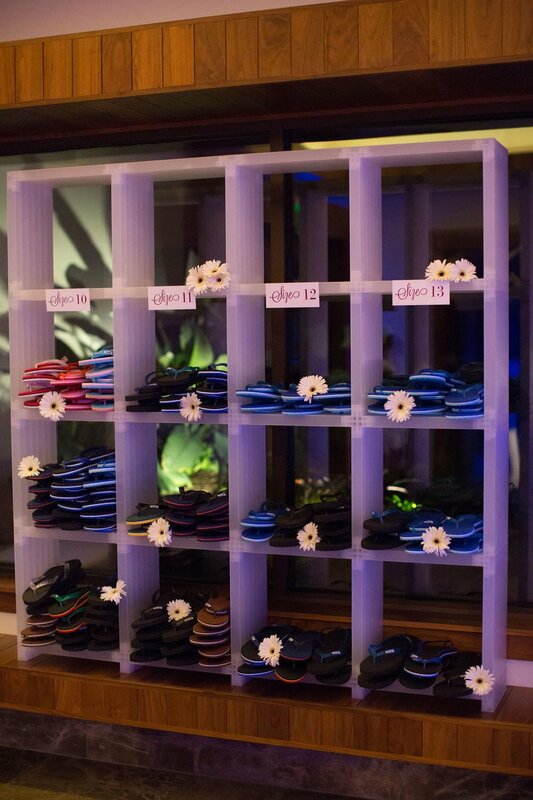 This is a fun way to show your appreciation to your family and friends who traveled from afar to attend your Hawaii destination wedding! A subtle theme for your welcome party can add some fun flair, and can relieve any prewedding tensions as all of your family and friends will have the opportunity to meet and enjoy themselves! Your dream Hawaii wedding destination, has so much to offer guests, with a variety of ways to explore the islands! Remember to create a wedding excursion hashtag for your guests! Organizing a spa day or golf tee time is a great way to help guests relax and unwind into their wedding vacation, and start feeling blissful before the big day. This gives guests an option depending on their interests, and allows ample time for them to socialize on a more personal level! Most Hawaiian resorts have spas on site and some offer bridal spa packages and of course Hawaii boasts many luxurious golf resorts, with spectacular ocean views, and guaranteed fun! Setting sail on the pacific is always one of couple’s favorite ways to share Hawaii with their loved ones! This proves a very accessible excursion for all guests to enjoy. Even more popular during winter months when the humpback whales populate the Hawaiian island chain! Guests can relax with a cold drink and take in the spectacular views, while mingling and meeting everyone! For your more adventurous wedding guests or bridal party, organizing an exciting activity creates instant memories and probably some fun stories too! Hawaii offers amazing hikes, zip-lining, waterfalls, para-sailing, and so much more. 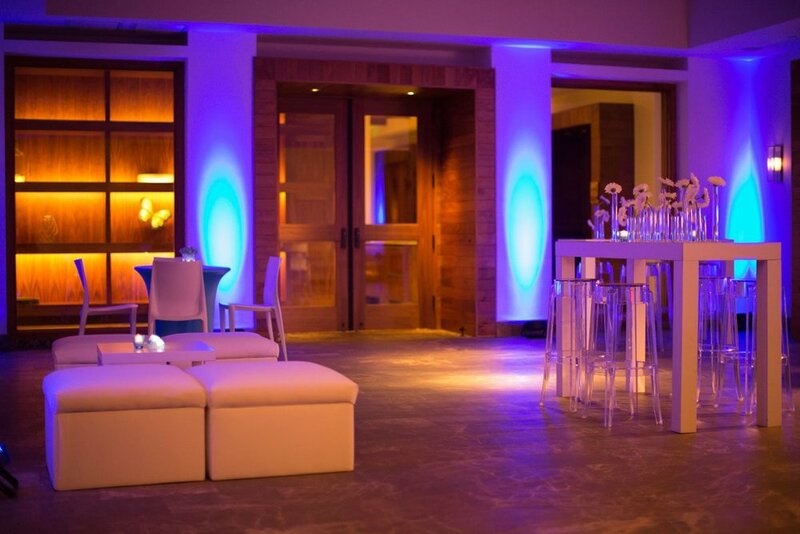 When hosting a luxury destination wedding, where guests have travelled great distances to attend, the after-party trend is gaining popularity, as a fun way to prolong the wedding festivities into the wee hours of the morning. These post-reception blowouts are usually a hit and often the most memorable! Destination wedding welcome bags (for out-of-towners) is the perfect way to thank your guests for coming and show your appreciation from the start. The best welcome favors are items that can be used on the trip, things guests could have forgot to bring, and always include a local treat! Including a wedding itinerary for your guests is key! This detail not only informs your guests of important times and activities, but also increases the excitement of the wedding festivities to come from the moment they arrive! 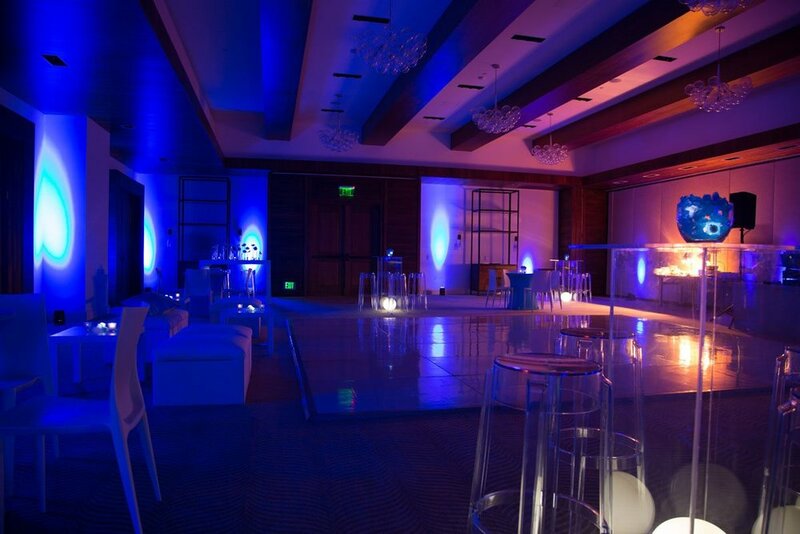 Unveiled Hawaii strives to create the ultimate luxury wedding experience for both you and your guests! Take a look at this beautiful film created by Zeb Films Hawaii that showcases exactly that! (Photos Courtesy of Chris J Evans Photography).